Biotechnology vendors and lab suppliers in Texas will find a thriving life science equipment sales market with the potential for numerous lab sales leads at Texas A&M University, if recent NIH and NSF research funding statistics give an indication as to what the market’s potential is like. In total, the NIH and NSF gave Texas A&M University $58 million in research funding in 2012. The university received $42.2 million from the NIH alone. This research funding was spread out over 145 projects across various life science disciplines. For the convenience of our readers, we have compiled a list of some of the top-funded science research departments at Texas A&M organized by department, number of awards received and total research funding awarded. For a full list of departments funded by the NIH at Texas A&M University, please visit the NIH website. In addition to receiving research funding from the NIH, Texas A&M University also received $15.8 million from the NSF in 2012. The money was distributed among a number of research departments, and those among them in the life sciences include physiology and structural systems, behavioral systems and evolutionary processes. The top-funded life science research project awarded funding concerned osmoregulation in marine dinoflagellates and was awarded $86,745. 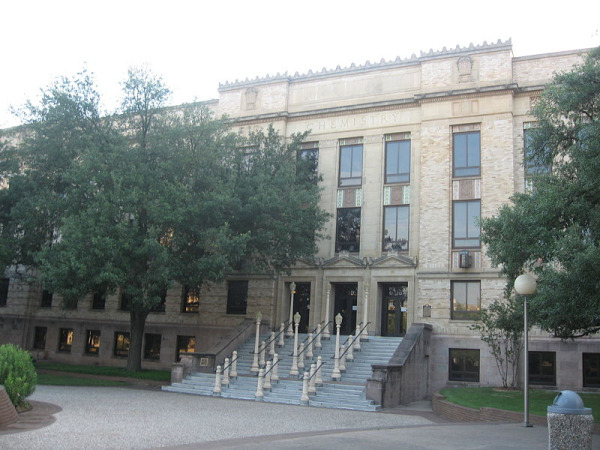 According to WATW News Talk, Texas A&M University will also receive a series of grants over the next five years. The research funding will total $176 million, and the contract has the potential to be renewed for up to 25 years. The research that receives funding will focus on the development of vaccines to respond quickly to flu pandemics. The projects will also be concerned with training and research in response to biological, chemical, radiological and nuclear threats. Given these statistics, it’s evident that Texas A&M University is a well-funded biotechnology market with the potential for a number of lab sales leads at life science marketing events. If you are a lab supplier or biotechnology vendor interested in meeting science researchers, lab managers and purchasing agents or learning more about the life science equipment sales market at Texas A&M University, Biotechnology Calendar, Inc. invites you to attend our annual College Station BioResearch Product Faire™ Event held on the Texas A&M University campus. Biotechnology Calendar, Inc. is a full-service science research marketing and events-planning company that organizes trade shows at top research institutions across the country. Last year, the College Station BioResearch Product Faire™ Event attracted 128 attendees. Of those attending, 22 were purchasing agents, professors and post docs, and 18 were lab managers. The visitors came from 33 different research buildings and 36 departments across campus. For more information on Texas A&M University funding statistics, click on the button below. If you are interested in learning about another life science equipment sales market and generating lab sales leads at a trade show closer to home, we encourage you to view our 2013 calendar of events.